Samsung Galaxy S3 and Samsung Galaxy Note 2 owners might be hanging around a bit longer before they can catch up with the Galaxy S4, with word that the Android 4.2.2 update faces further delays. That's according to Sam Mobile, which tweeted the bad news earlier, though it didn't elaborate as to where the information came from. However, the culprit is apparently the new TouchWiz interface, which is being ported from the Galaxy S4 onto the older handsets, which are currently still running Android 4.1.2. 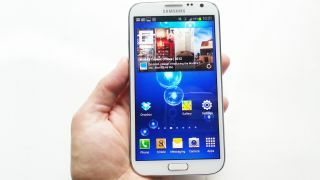 We expected the new TouchWiz-packing 4.2 update to hit this month, so news of the delay feels a bit late in the day. Although, we say delay - Samsung didn't claim the June release date itself, as this originally came from other sources. So we can't get too mad at the big S.
While Sam Mobile has a fairly decent track record with this sort of stuff, Samsung hasn't confirmed anything yet so hold tight. We've contacted it for confirmation and will let you know as soon as we hear more.